Remarks: the test conditions of above parameter:dry bulb temp is 20DegC. wet buld temp is 15DegC. inlet water temp is 15 DegC. outlet water temp is 55 DegC. OEM and ODM orders are acceptable with competitive price and high-quality. MOQ: 2sets, can be different models. Company support of sample test and then make big cooperation. 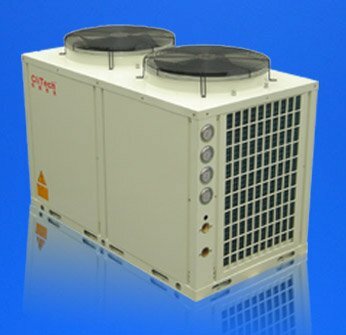 Pls kindly take care our standard heat pump not include water system installation spare parts, like circulation water pump, flow switch, cutoff valves and so on. If you are for a project install heat pumps, to different requirements, our engineers will be best backsupport for water system connection drawing, and project design. Also whole system parts can be provided, to match with heat pumps. Up discharge type or side discharge type. The item price on website does not include shipping cost. Big orders: email us directly lisa(at)clitech.cn and we will reply you immediately. Unbelievable price on Air to water heat pump for hot water, underfloor heating, radiator heating, convector heating in Foshan (China) company Foshan CliTech Air-conditioning Equipment Co., Ltd.